Lisa Roberts-Mamone is experienced in the areas of estate planning and wealth transfer for high-net-worth individuals and families. She provides comprehensive guidance to clients involved in complex trust and estate matters, with a special emphasis on working with family offices and multigenerational families. Lisa is a trusted advisor and counselor to her clients, providing personal attention and support in difficult situations. Lisa's clients often require the knowledge of other BakerHostetler lawyers, so she effectively collaborates with other lawyers in the firm to address all aspects of the situations facing her clients. Serves as the primary legal counsel to a multigenerational family served by a sophisticated family office. 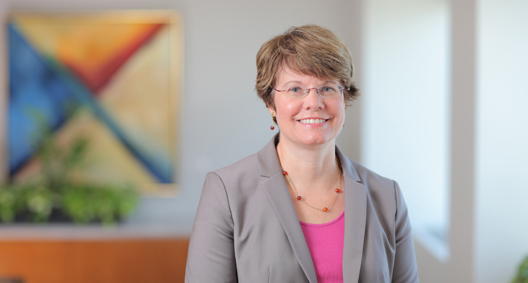 Recently assisted the family members with an audit of federal gift and estate tax returns involving a net gift transaction with closely held business interests; revised governing documents for foundations to ensure focused grant-making consistent with the founders' objectives; and advised regarding gifts of closely held business interests using formula clauses to reduce gift tax exposure in connection with potential valuation changes. Assisted the family with the creation of a limited liability company to hold unique real property and the subsequent transfer of interests to trusts for family members. The goal of the plan was to retain real property in the hands of the historic family group for as long as possible without subjecting such property to estate tax. Assisted the family with transfers of additional financial assets to defective grantor trusts that are exempt for generation-skipping tax purposes. Serves as primary legal counsel to trustees of multiple interrelated family trusts. Provides ongoing advice associated with trust administration and fiduciary compliance matters. Recently advised the trustees regarding a consolidated investment policy under applicable law, securities matters related to investments held in sub-trusts for purposes of qualified investor rules, decanting situs change issues associated with irrevocable trust entities, and income "sifting" analysis under domestic and international tax accounting rules.